The Perseid meteor shower in mid-August is among the most anticipated astronomical events of the year. During its peak, skywatchers can expect to see 50 or more shooting stars per hour. What do you see when you look at a desert? An empty space? A forbidding wasteland? For some, the sun is too bright, the air too dry, and the cactus too thorny. Others might find the desert a nice place to visit, but no place to live. We urge the Senate to continue its work and ensure that the Land and Water Conservation Fund is permanently reauthorized. 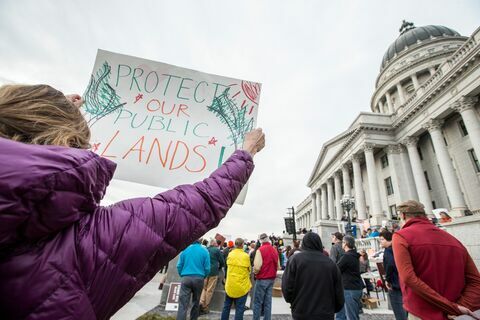 Our public lands not only make our communities healthier and happier, but are also a driver of economic growth across the country - and today’s action in the U.S. Senate is a big step forward to providing access to public lands for hunters, fishermen, hikers, bikers, birders and all those who love the outdoors.